Sarah Isgur Flores will be working as a commentator and not in any news editing capacity. 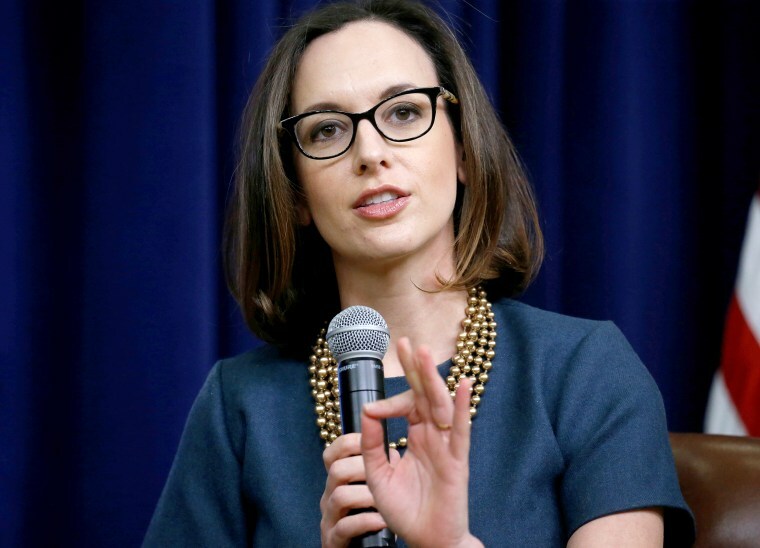 Sarah Isgur Flores, a former Trump administration official who was hired by CNN as a political editor, is being shifted to the analyst's chair, she and the network said Friday. Last month's hiring of Flores — a former Justice Department spokesperson under Jeff Sessions with no prior background in journalism — to craft political coverage at CNN was widely criticized by journalists. But Flores tweeted Friday that she'll have a new gig at CNN. "It’s been a great vacation but I am back on twitter! And news: I will go to CNN as a Political Analyst instead. Will start next month on air and on line. See y’all soon!" she tweeted. A CNN spokeswoman confirmed Flores' job change, saying, "Sarah came to us and proposed her role be adjusted to a political analyst instead, we agreed and we look forward to her starting in that role."